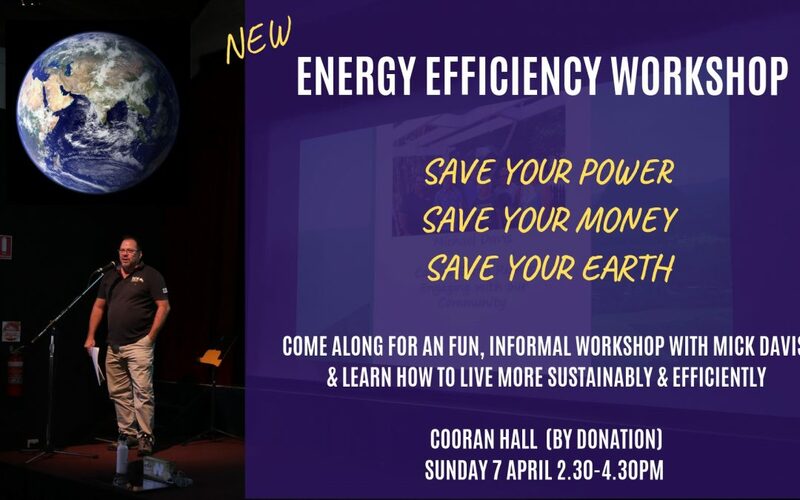 A fun and practical by donation 3-workshop series with Michael Davis from Repower Noosa/Cooran. Workshop 1 will show you easy low and no cost ways to save energy, save money and lower those carbon emissions. 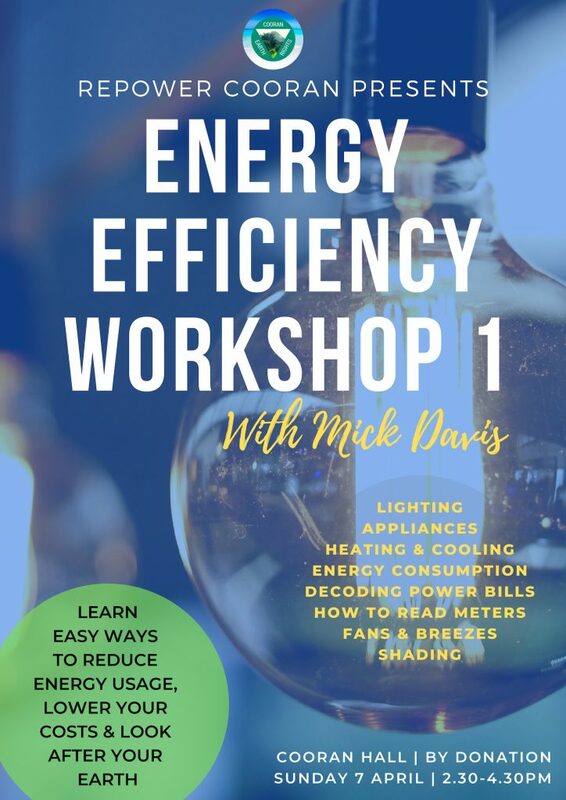 You will learn how to manage your lighting, appliances, heating, cooling, shading and how to make sense of your energy bills and meters. You will also learn about kilowatt hours and how much coal/gas each appliance in your household actually uses.